Prof. Asa Kasher reveals a soldier was killed by the IDF to prevent his abduction during last summer's war, in a corruption of protocol. Prof. Asa Kasher, a winner of the Israel Prize and the author of the IDF's ethical code, revealed on Wednesday morning at a conference of the Tzohar rabbinical organization that a soldier was killed during last summer's war due to a mistaken understanding of sensitive protocols. 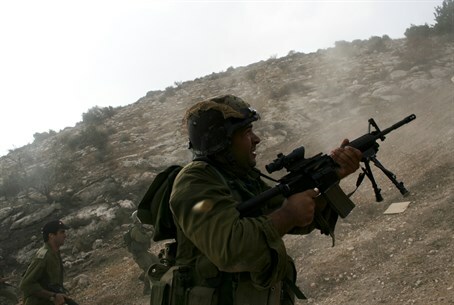 Kasher, a member of the Shamgar Commission which warned against terrorist releases as a matter of state policy, told Arutz Sheva that he had come across the story of the soldier's death. However, he would not give the details of the incident, which evidently is being kept under wraps out of sensitivity to the soldiers involved and their families. "There is a solid base to this (story of a soldier being killed - ed. ), I don't want to say which incident and when but there was an incident like this," he said. According to Kasher, the death came about as a result of a false understanding of the secretive Hannibal protocol, according to which the IDF is given a free hand in taking desperate measures to free a captured soldier even if it endangers the life of the soldier - but which does not allow the intentional killing of soldiers so as to prevent their capture. The ethical code author stated that the Hannibal protocol is a secret directive and 99% of those speaking or writing about it in the public sphere are not familiar with its particulars. "We don't want to reveal to the enemy what the protocol says, but I will say there is a complete ban on killing an abducted soldier based on the reasoning: 'better a dead soldier than an abducted soldier.'" That reasoning, according to Kasher is "mistaken from its core; maybe you can shoot towards the terrorists but it is forbidden to shoot to kill the terrorists together with the soldier." Speaking with Arutz Sheva, Kasher called the killing of a soldier to prevent his abduction "wrong," "pernicious" and "misleading." "Everyone should understand that you never kill a soldier deliberately just in order to help the government conduct negotiations," he said, referring to diplomatic attempts to free captive soldiers. He noted there are other means to prevent prisoner swaps and the release of jailed terrorists, indicating military missions to free captive Israelis. According to the professor, the Hannibal procedure actually stipulates that "you cannot even jeopardize the life of a soldier to a very significant extent." The most publicized incident of the Hannibal protocol in last summer's war took place on August 1 and was dubbed "Black Friday." On that day, Hamas breached a ceasefire with Israel and surprised an IDF elite unit, killing three soldiers and abducting the body of one of them, Second Lt. Hadar Goldin. In the chase that ensued, IDF artillery pulverized the area near the tunnel into which Goldin's body was abducted as part of the Hannibal protocol, reportedly leaving dozens of Arab residents killed. Also speaking at the conference on Wednesday was Lt. Col. (res.) Uri Shechter, who is the director of the Shorashim organization and who took an active part in Operation Protective Edge. He said that as a deputy brigade commander, his decisions under fire were not made according to how the world might judge them. "What happened to us in the army in recent years is that we finish events and the commanders are busy with how it will be photographed, and whether a Investigative Military Police [Metzach] investigation will be launched or not," said Shechter. The deputy commander remarked on an incident in which fighter jet pilots were investigated for opening fire on terrorists in order to save ground forces, in an exchange in which Gazan civilians were harmed. Condemning the investigation, he said, "that's not ethical, it's not ethical to investigate soldiers who harmed innocents because they were saving the forces."